In my many years of teaching reading to bass players one constant remains, we always need good reading material to work with. 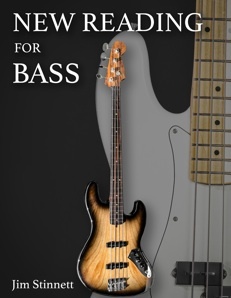 New Reading For Bass provides notated material written with the bass in hand. The book is divided into three sections, Level One, Level Two, and Level Three, to ensure that you will be challenged yet comfortable.